Champy is a small family run business founded in 1720. They became from boutique negotiant to consistently producing artisanal wines with continued aim to express the nuances of the Burgundian terroirs. 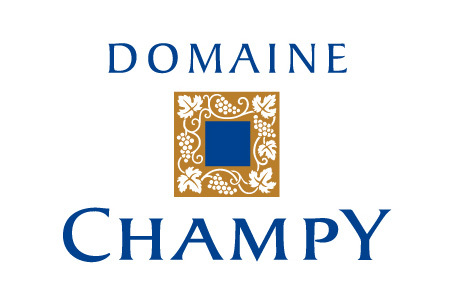 Champs is also the first established wine house of Burgundy, and proudly are pioneer of the Burgundy vineyard. They use rational practice of vines on the Côte de Beaune, certificated organic since 2010 vintage and since 2014 for the vines from Clos de la Chapelle. The estate produces about 500 000 bottles per year and is one of the major producers of the Pernand-Vergelesses appellation. Dimitri Bazas – Champy’s winemaker since 1999 – ensures the general management, with Pierre Beuchet, historical owner and majority shareholder since 2012. Vinedo Chadwick wine represents the family’s long-cherished desire to honour the memory of the late Don Alfonso Chadwick Errazuriz with an exceptional wine that shocases the ancestry, tradition, and expertise of the Chadwick Errazuriz family in producing fine wines that reflect the family’s passion for excellence. This old Domain from Magalas, bought in 1999 by Sylvie Legros and Bruno Lafon, is located on the boundary between the villages of Fouzilhon and Magalas, within the AOP Languedoc Pézénas appellation area, this vineyard grows on sandstone soils and is home to south-facing Grenache and north-facing Syrah vines, creating ideal exposure for guaranteeing harmony between the two varietals. Grand Cru Classé de Graves, Pessac-Leognan. Classified growth since 1953, The LaTour-Martillac Estate got its name from the Tower gracing the main courtyard, vestige of a small fort built in Martillac in the 12th century bu the forefathers of the famous philosopher and vine grower Montesquieu. The Château LaTour-Martillac belongs to the Kressmann family since 1930. Today Tristan and Loic Kressmann, the third generation, manage to estate. They maintain the tradition of very elegant and refine wine that makes the reputation of the domain.